Speed up laundry days with this Hotpoint washer dryer in a classic white finish. 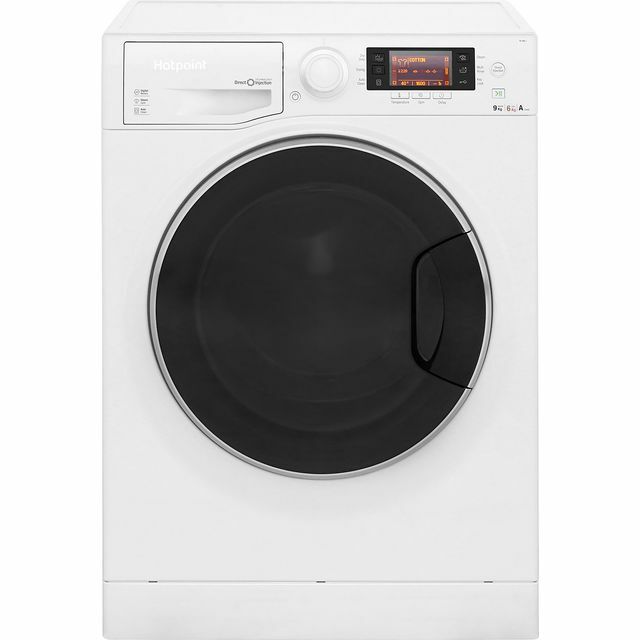 The 9kg drum can handle the washing of a medium-sized household. It’s rated A for energy efficiency, so it won’t cost the earth to run. The Anti-Stain programme uses a 40°C temperature to remove 20 of the most common stains, whilst being gentle on fabrics. If you need a small load clean in a hurry, you can select the 30 minute Quick Wash. And, for delicate jumpers, the Woolmark Green programme uses a cool temperature and gentle spin. Very pleased with this washer, it's so quiet compared to our old one. I'm not sure why some of the reviews say it's noisy, as we can't hear it running at all from the next room. Some of the wash cycles are a bit long, but there are shorter options on there which are absolutely fine. The dryer controls took a few minutes to work out, but now they're sorted everything is ok.
We needed a new washer dryer as ours gave up the ghost after 7 years. We decided on this one after reading the reviews. 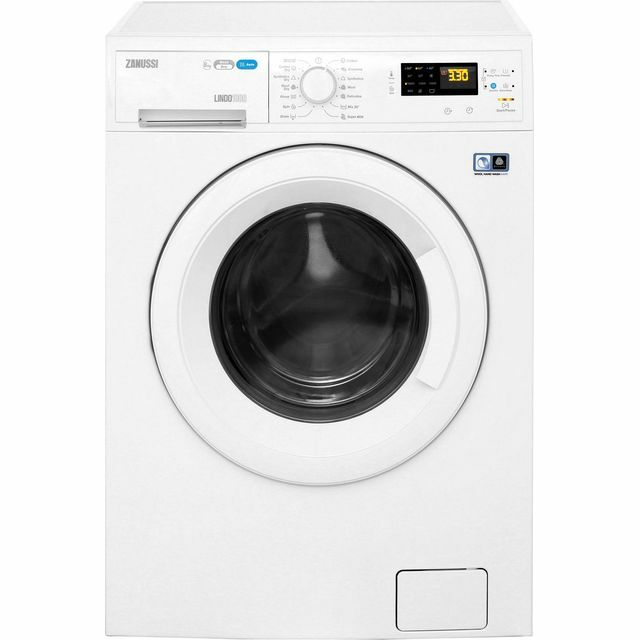 The washer dryer is brilliant, very quiet, easy to use (once you get your head around the slightly confusing instructions) and carries a good sized load which is handy with a stepson who seems to wash every item of clothing he owns in one go! It also looks good and turns itself off if you're out when the washing is finished. Large drum so washing not so creased even when I use wash programme 10 which is a mixed 40 deg wash with a 1600 spin (you can choose a lower rev spin with this if you want). I would like a 1600 spin for all the programmes but if you choose the quick 30min wash it is an 800 spin max. 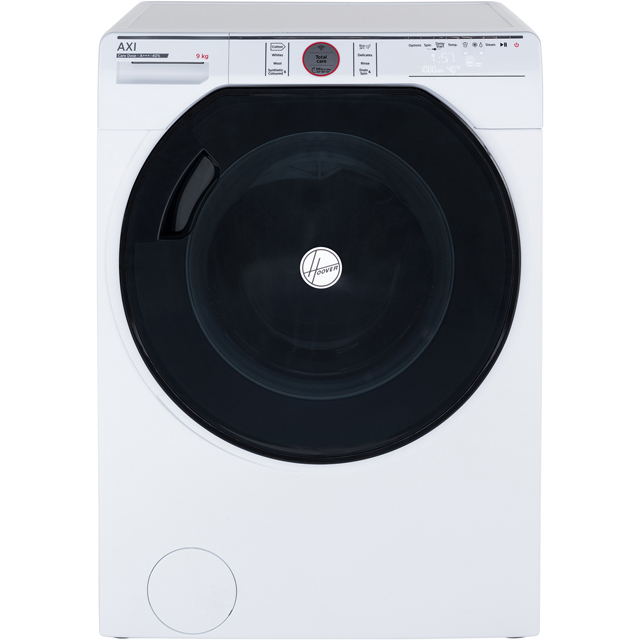 At the end of the 30min wash you can always put it on a 1600 spin only cycle. I like the digital display which shows me exaxtly what I have selected. It is easy to understand once you get your head around the symbols. Tgere are options to use steam or have extra rinses which may help fir allergy sufferers but I don't bother with all that. 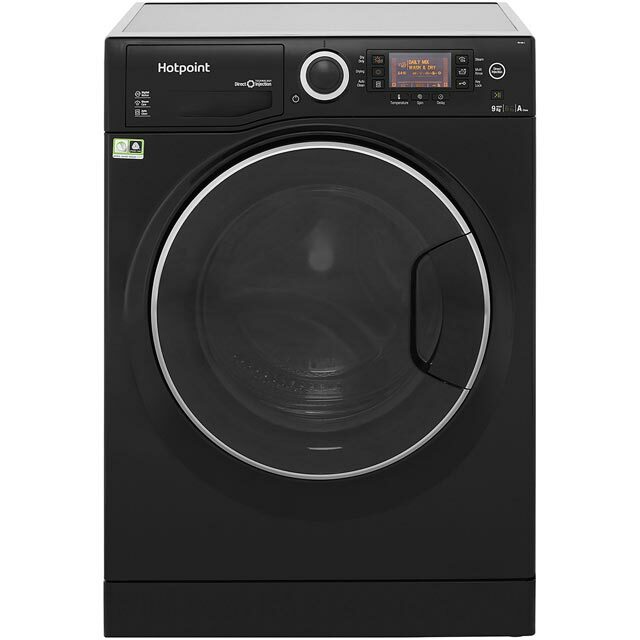 I just want a straightforward wash and then dry if the weather not good.I had a hotpoint washer dryer previously and it was great so I'm hoping this is the same. So far so good. Ordered this a week ago. I felt like I was dealing with a company who were organised and cared about my order. Product is easy to run, and as eco-friendly as possible. Menu simple and drum is a good size for a family of four. Excellent service from AO. Product exactly as expected, good spec at a fantastic price.